Please scroll down to see price chart. Normally ship in 3-5 business days. These are heavy gauge aboveground pool liners that are constructed with top quality virgin vinyl and loaded with U.V. inhibitors to make our liners last for years and years. 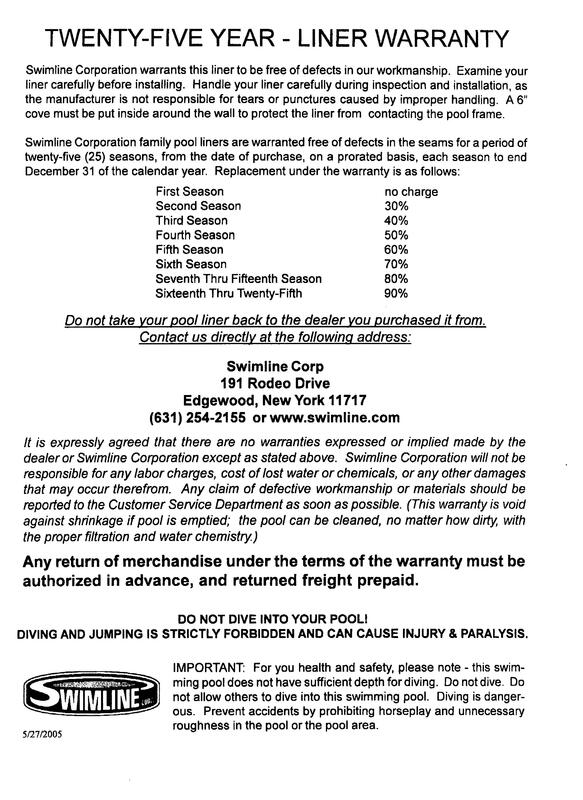 These pool liners come with a manufacturer 25 year pro-rated warranty. The aboveground pool liners are constructed of top quality vinyl and loaded with U.V. inhibitors to make our liners last for years and years. These pool liners come with a manufacturer 25 year pro-rated warranty. We have listed the more common sizes. If you do not see your pool size, please contact us for a quote.